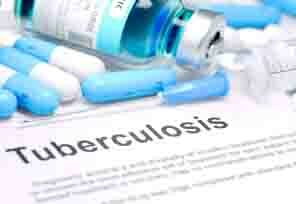 A new experimental antibiotic for tuberculosis (TB) may be more effective than isoniazid, a decades-old drug which is currently one of the standard treatments for the disease, a study claims. The drug remains in the tissues where the Mycobacterium tuberculosis bacteria reside for longer, killing them more effectively. “The goal of TB drug development programmes is to develop universal treatment regimens that will shorten and simplify TB treatment in patients, which typically takes at least six months, and sometimes more than a year,” said Gregory T Robertson, an assistant professor at Colorado State University in the US. The new drug, called AN12855, has several advantages over isoniazid, which requires conversion to its active form by a Mycobacterial enzyme, KatG, in order to kill the pathogen. This includes a host defence involving confinement of invading bacteria within small cyst-like bodies called granulomas, that lack vasculature and often prevent the drug from reaching the pathogen. Most mouse TB models used for clinical evaluation of new drugs fail to produce this advanced lung pathology. Thus, they give little insight into how drugs might behave in the presence of advanced lung disease that is typical of human tuberculosis. In the study, the researchers used a new TB mouse model that develops these M tuberculosis-containing granulomas to compare isoniazid and AN12855. “We discovered that the drugs differed dramatically with respect to their abilities to kill the pathogen in highly diseased tissues. AN12855 proved more effective,”said Robertson.